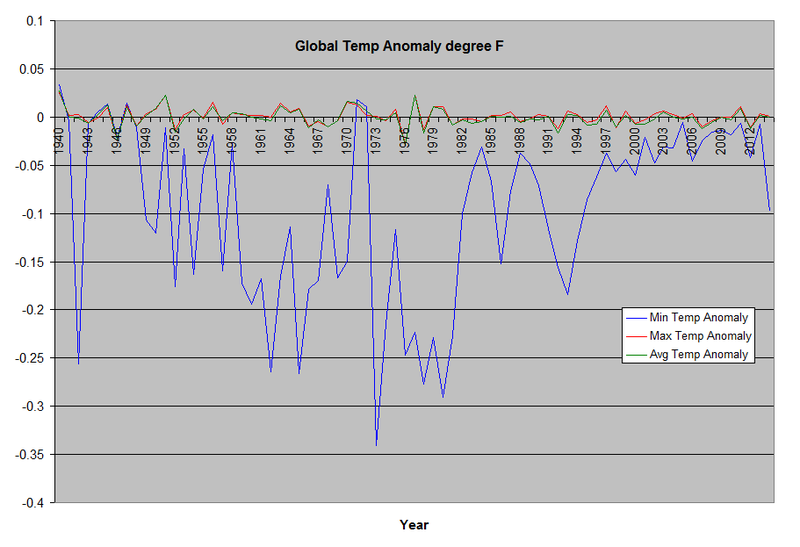 Another bias in temperature measurements discovered | Watts Up With That? MISSOULA – In a recent study, University of Montana and Montana Climate Office researcher Jared Oyler found that while the western U.S. has warmed, recently observed warming in the mountains of the western U.S. likely is not as large as previously supposed. His results, published Jan. 9 in the journal Geophysical Research Letters, show that sensor changes have significantly biased temperature observations from the Snowpack Telemetry (SNOTEL) station network. 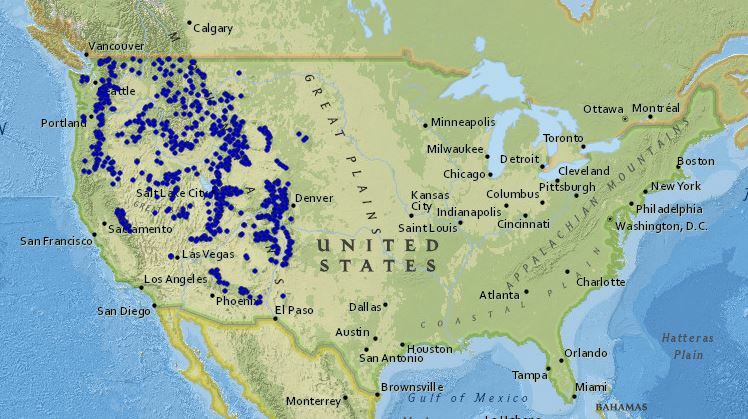 More than 700 SNOTEL sites monitor temperature and snowpack across the mountainous western U.S. SNOTEL provides critical data for water supply forecasts. Researchers often use SNOTEL data to study mountain climate trends and impacts to mountain hydrology and ecology. Oyler and his co-authors applied statistical techniques to account for biases introduced when equipment was switched at SNOTEL sites in the mid-1990s to mid-2000s. His revised datasets reduced the biases to reveal that high-elevation minimum temperatures were warming only slightly more than minimum temperatures at lower elevations. Co-authors on the paper “Artificial Amplification of Warming Trends Across the Mountains of the Western United States” include UM researchers Solomon Dobrowski, Ashley Ballantyne, Anna Klene and Steve Running. It is available online at http://onlinelibrary.wiley.com/enhanced/doi/10.1002/2014GL062803/. January 12, 2015 in Climate News. Lying in Weather Reporting is common place and shamelessly just like the Global Financiers want it. Pure Evil. I have never said a single word regarding how “CO2 controls the weather/climate”. It is curious how much paranoia one finds around here… just about as much as one finds among the warmist cults. Granted the paranoia here is nowhere near as violent as with that bunch of nuts. In any case, the comment was meant to be friendly. You two sound crazy. Tone it down for your own good. Yes, I agree with that. Some people here in WUWT are sounding more and more like warmist cultists but on the opposite pole. Maybe they should pull back a little. When biases kicks in, for or against anything, it’s the truth that suffers. CG … you have it right … those others are uninformed or misinformed. Which means Liberal. Hopefully Ted Cruz will put some science back into science in the US. No ad, he’s just been appointed. Ted Cruz – a soccer player; a stand-up comic; a venerable librarian; or – what? Ted Cruz is a senator from Texas just named chair of the Subcommittee on Space, Science and Competitiveness, where he will oversee NASA and science programs. He’s an outspoken climate skeptic. In your terms it would be out with the Greens and in with reality. 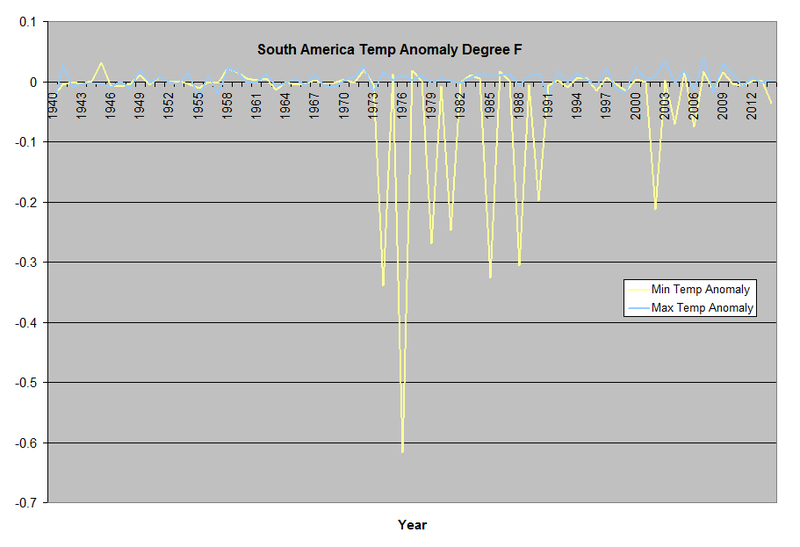 With artifacts removed, the network’s 1991–2012 minimum temperature trend decreases from +1.16 °C decade−1 to +0.106 °C decade−1 and is statistically indistinguishable from lower elevation trends. Moreover, longer-term widely used gridded climate products propagate the spurious temperature trend, thereby amplifying 1981–2012 western US elevation-dependent warming by +217 to +562%. Wow! In other words, 91% of the previously reported trend was spurious. What’s an order of magnitude between friends? 1.16 to 0.106??? Holy cow Batman! Nice to see some audits being done. As is obvious from the above corrections a lot more audits are needed. If I may . . . .
Only missed it by one order of magnitude, Chief! If this guy keeps it up, he’ll be a WINO (Warmunist In Name Only). Post-modern climate science in action. This does not end well for anyone. USGS administrators should be ashamed. Correction: Not a USGS run network. Apologies to USGS. It is a USDA/NRCS network. Picture of a Montana SNOWTEL site in summer 2014. Looks like they had a forest fire through there. I hope they took note of that. Hey George, what do you bet they left all the readings taken during the fires in the data set. Better scenery than we have inside London’s M25 Orbital. But, maybe, some of the wildlife is a little less welcoming? Auto, happily ensconced in a warm house in light rain! How very thoughtful of the USDA to protect their instrumentation in a wind-proof, light-proof tin-hat greenhouse! The Weather Service could learn a few tricks from them on siting instruments to induce bias. USGS administrators should be FIRED. There needs to be consequences. We need a few press releases stating that so-and-so, who’s research has been proven to be fraudulent, has been fired, is under investigation for misuse of public funds, and has been deemed unfit for scientific research at any future point in time, and is banned from holding any government funded position. I help businesses deploy design and design data management systems. It usually involves getting the crusty veterans to use new computer things that sometimes they just don’t see the need for. As part of the discussions on options for a successful deployment, I suggest that sometimes proper motivations are required, and that your typical design guy is a smart fellow, and learns quick enough. I use to suggest taking the biggest complainer out in the parking lot in front of all the windows and shooting him, you usually only have to shoot one of two for everyone to get the idea. But I have mellowed with age, so I now suggest tazing them, seeing them flopping around wetting themselves should be plenty of positive motivation. WHAT???? No models??? Then the study has to be fubared. In a way it’s kinda fun watching others discover what we’ve known for years… that claims of accuracy, precision, and confidence are laughable. It is man-made warming! Cut the CO2! Buy more bird-choppers and solar panels! Does anyone else wonder if this same bias is also in all the other high altitude station data? Yep. Wondering also why the AGW temperature anomalies seem to be inversely proportional to the population density. Interviewed was meteorologist Klaus Hager. He was active in meteorology for 44 years and now has been a lecturer at the University of Augsburg almost 10 years. He is considered an expert in weather instrumentation and measurement. ” For eight years I conducted parallel measurements at Lechfeld. The result was that compared to the glass thermometers, the electronic thermometers showed on average a temperature that was 0.9°C warmer. Thus we are comparing – even though we are measuring the temperature here – apples and oranges. No one is told that.” Hager confirms to the AZ that the higher temperatures are indeed an artifact of the new instruments. The SNOTEL bias has likely compromised our ability to understand the unique drivers and impacts of climate change in western U.S. mountains. Not only compromised our ability to understand the climate in western US, but in the entire world. That is the problem of not being honest with empirical data. Now we don’t know at what extent temperatures have changed, then we cannot reach any conclusion about what drives the climate. I can .. it’s snowing and about 20 F… It is January after all, and not the balmy, sultry tropics. Outside of calling it the warmest year on record, last July was cold, it snowed on May 11, 18 F and it has been the coldest winter already that anyone can remember. When records won’t do, crops will. No tomatoes last year. That tells you a lot about night time lows. Your comment could be improved with some sort of geographic tag. I live just east of the crest of the WA Cascade Mountains (SNOTEL sites up the valley a few miles) and had great crops of tomatoes and summer squash – freshly melted snow helped. You do realise what lower crop yields due to the cold in the warmest year ever will be spun into? Will it be the same as global warming causes it to snow more? Or maybe it causes a polar vortex? Once upon a time I knew where the growing line for tetra quarto kali was. Ah, not so. You just need to look at the actual rate of change at the actual station. These are day to day derivative averaged for a full year, for min and max daily temp for the area listed. 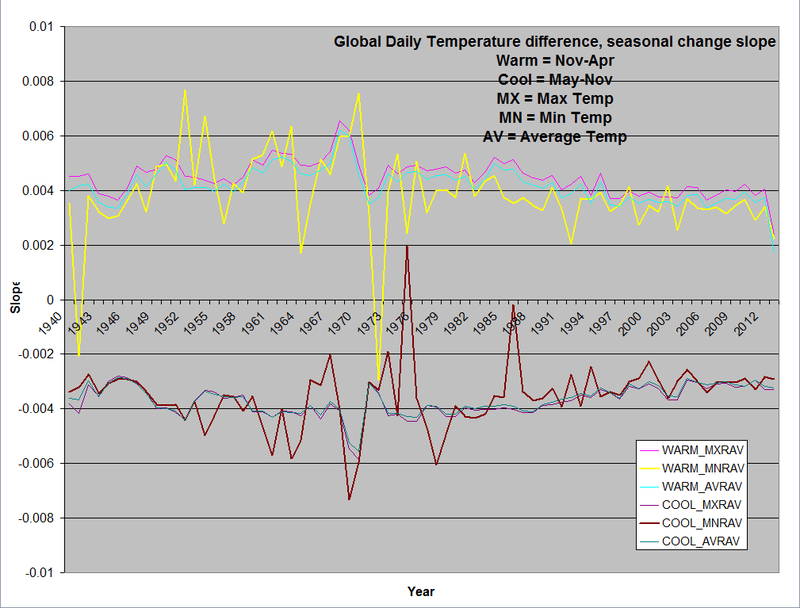 When you start to dive in, you can link the changes in the minimum temp annual derivative(you can see some of that in these charts), to an unusual change in Seasonal temps at the regional station level, not a global change. There might be a small trend in the background of these regional changes, but the magnitude will be limited by the regional changes being responsible for most of the change in GAT. You might want to write this up a bit more thoroughly. Y axis is °F/day ? And the description of the last graph. Yes Steven you are right, everything is a model, but models do have differing levels of abstraction, I wanted to see what the stations measured, I wanted to understand why the temp drops so fast at dusk. So I got the data and went to work. I offer that work to anyone who might be interested in those same questions. And I do think the way I’ve looked at the surface data has something new and important to add to this discussion. But instead of doing it all by hand I created code to do it on whatever area I want. All of the aggregated data used to create all of these charts, and the code that I use to process surface data is at source forge, the url in my name above. Thanks Mi Cro. I wanted to do something similar but I lack the programming skills to deal with such a large amount of data. My approach was to be something slightly different. The rate for each station would be estimated from the difference in days of consecutive years and smoothed over 12 months. I would have also found the median for each date rather than the average. You’re only assuming that the the spread is random enough that the middle sites are the ones where the local effects are at a minimum, not that they cancel each other out. And put up a sum (or integrated) plot. While not all the same, I have a lot of data in csv files on the earth sliced, cubed and chunked into various pieces by day, and annual average of daily change, plus averages for each station and other goodies. I have noticed a difference between electronic sensors and mercury-in-glass maximum thermometers. The electronic probes consistently read 0.2-0.5C higher, tending towards the larger difference in summer. Used to think the probes were more sensitive, now I wonder. It would certainly lead one to think that older temperatures should be warmed, not cooled, if any “adjustments” are to be made to the long-term record. Another factor that Anthony documented in his surface stations work was that many of the new electronic sensors were sited much closer to buildings than the old stations they replaced. This was done to reduce the amount of cable and trenching required, but it also introduced warming bias. The new sensors were now closer to buildings, asphalt, and concrete. How ironic if the new stations were used as justification for even more upward adjustment of temperatures. The new MMTS electronic instruments are supposed to introduce a “cooling” bias and therefore the previous temperatures have been adjusted down to compensate. MMTS produces a cooling bias in the maximum temperature of about 0.4C and a warming bias in the minimum of about 0.3C, so the net impact is to introduce a cooling bias of 0.1C or more. This is adjusted out by the NCDC through the pairwise homogenization adjustment. It is actually the opposite then? This is why temperature data is now nearly useless. This confirms my long held opinion that anyone who tries to do a study based on temperature data is looking at data that has error bars of at least 0.5°C. In other words, disregard all conclusions based on a fraction of a degree. The sensors are different. Actually one reason for suspecting bias in these sensors is that the trends in SNOTEL and USHCN differ (higher in SNOTEL). Do you think adjustmens are warranted her Illis? I think if you look at how the temp at a station changes from one day to the next, since it’s referencing it self, you don’t change it. Now maybe to do a better job of maintaining calibration of your thermometers to a calibration standard would be a good idea, like any commercial lab would do. Why 0.5? Why not 2 degrees? Or 3? Mi Cro would not adjust for sensor change. Even if the sensors are different and give breakpoint changes. The reason? Then station refers to itself. Boy, you sure are a deep thinker rooter, what should I do now, you seem to have me pinned into a corner I can’t get out of! A sensor change on a day to day basis looks just like a weather event at a station, and since in larger areas weather becomes a local event, a sensor change is nothing but a single blip that gets averaged out by all of the other sensors in that area that did not get changed. And then the very next day, the new sensor goes about recording min and max temps. Day to day processing is also more tolerant of UHI, imagine a sensor in a field, and then over a few days that field gets turned into a parking lot. Over this week, there will be a large change in absolute temps, so there will be a disturbance in the temp data at that week, but in the US there’s a couple thousands stations, again it looks like weather to that single station. After the parking lot is there, there will be a step, and then a new range of min and max, max will be higher, min will be higher, and that station will settle into a new min max range. Plus lots of station changes appear to come with new station numbers, so in that case it will be a whole new series. On the other hand I could assume I 50 years later knows why a station changed it’s daily temps, and decide that I know more than the people who were monitoring that station, and just add my own correction to it, that’ll make it better! rooter, did you know that when you look at the global average temperature trend, that much of the changes in the trend since the 70’s is from large regional changes in min temp only? No large changes in max temp, just changes in min temp, did you know that? And did you know that these regional changes at the continent level happens in different years! Also when you average the day to day change in min temp, since 1940 the average daily change to min temp is -0.097F, and for max temps it’s 0.001F, average temp -0.00035F. That’s the change in temps as measured by 95 million surface station readings. I bet you didn’t know that. Want to check my work (follow the url in my name)? rooter, you seem like a smart up and comer, someone destine to make a name for yourself (though I might have picked a better name to go down in history with), why don’t you get my code and show me how it ought to be done! Country Towns in Australia show a similar trend in the maximums. eg. All the biases tend to be to the warm side. Just once I’d like to see an error that led to us reading cold. It would be bad news for the climate but such very good news for the integrity of the climate scientists. All the biases tend to be to the warm side. Just once I’d like to see an error that led to us reading cold. ROFL! Um. So, the scientists found: In a recent study, University of Montana and Montana Climate Office researcher Jared Oyler found that while the western U.S. has warmed, recently observed warming in the mountains of the western U.S. likely is not as large as previously supposed. Translation: the instruments are biased hot, reality is cooler. I think that speaks well of the “integrity of the climate scientists,” don’t you? So we are reading hot. Reality is cooler. Agreed. Funny how we never read cold and find out it actually has been worse than we thought. The biases in the instruments exist only because they are allowed to exist “undetected”. Why? Because of the biases of the scientists. Were the instruments biased (randomly) to confirm “Sceptic Beliefs” they would be checked and the error detected – corrected. That happens, it seems. But the bias warm of the instruments (random) is never doubted by the unsceptical scientists. I think we are speaking at cross-purposes. And SNOTEL still makes me laugh. It speaks well of the co-authors of this paper from University of Montana. It does not speak (well or other wise) for the ‘integrity of the climate scientists’ in any sense beyond the 4 co-authors of this paper. Well … so what’s the fuss? Er … well if we read cold, that would mean that the proper adjustment would be in the up direction. Surely you don’t mean we read cold and “worse than we thought” is colder? lol. Ok, here we have an instance of climate researchers based out of Missoula, MT — which is like the Berkeley of the Rockies — identifying an instrument bias which has previously made it appear that MORE warming has happend in the Western US than previously thought. And still here you are complaining about researcher bias causing them to look the other way. Yeah, that line reasoning of works real well when the topic is U. of E. Anglia, doesn’t it. If you are complaining about generalization, you are correct. In fact, I’ll go further and say that most climate scientists are on the correct side of the “debate” (ie, away from any form of propaganda, warmist or otherwise). They don’t often speak up, true, but it is easy to demand they stand up. The fact is that their jobs and livelihoods are on the line. It is them, the majority of climate scientists, who are the true and ultimate target of the politically-motivated intimidation campaigns that ask for “deniers” to be killed, imprisoned, silenced, etc. Or, in even simpler words, the 97% consensus is an artifact meant to gag the field and not the tourists around here. ROLF! I was thinking more of ‘nature tricks’ and the little ” I’ll Of Mann “…. But what the heck? If you’ve seen one pal reviewed example of ‘climate science’ that speaks (well?…. um, no.) fell of climatologists, you’ve seen Yamal! If you are complaining about generalization, you are correct. In fact, I’ll go further and say that most climate scientists are on the correct side of the “debate” (ie, away from any form of propaganda, warmist or otherwise). I agree with you, but let’s make no mistake: it is a trust thing on my part. I don’t actually know anything about anyone’s motivations or true thoughts. On an issue this potentially important, I can’t let my trust be a matter of faith. So I read the science. Crunch my own numbers. The arguments and data make more sense than the critiques and arguments against. That’s pretty much my position in a nutshell. It’s not real comfy, I tell ya’. Or, in even simpler words, the 97% consensus is an artifact meant to gag the field and not the tourists around here. Right there is one of those arguments which doesn’t make a lot of sense to me once I dig into it. I’m no dummy, I took org. behavior in school and did quite well — fascinating class — but the kind of powerful groupthink conspiracy you propose would just not be so … inept … in my view. Models would “agree” with “actuals” more often than not. There is a rich history of keeping garbage science out of major journals. That system has a track record of working more often than not. Look around you. What do you see? Stuff that works more often than not. Things our fairly recent ancestors would have called magic, even sorcery. Our success as a species is not an accident. Fortuitous in many ways, but still we have done it. Science, math, religion, the arts, all those things working together. I have a lot of trouble believing that the wheels suddenly fell off the wagon when Al Gore made a movie. I don’t have trouble believing that film pissed a lot of people off. ROLF! I was thinking more of ‘nature tricks’ and the little ” I’ll Of Mann “…. But what the heck? Well yeah, that was one of the emails illegally obtained from CRU, so we’re pretty much thinking the same thing. Brandon, homogenisation has been going on for a while while something like this has only come to light recently. They detect a break point and adjust data by a tenth of degree C with no documented change to the site and using neighbouring stations 100 km away, but they missed a false trend of a degree of magnitude off for 10 years, and there was a historical reason for it! Or better still, something that should have been checked 10 years ago. Mac the Knife, Honest are the authors, I would somewhat expect that from people that live in so called fly over country but it make me wonder if the authors thought out what such a paper might do to their careers, in the past the warmest come down hard on those whom point out the emperor has no clothes. I speak about peer pressure in academic circles from my own experience. No need to research it. I know where some of the bodies are buried. Careers have been made and careers have been destroyed many, many times since I can remember on absolutely no scientific or academic grounds whatsoever. Climate science is not my field so I don’t speak here out of personal experience. Rather, I speak from what colleagues tell me. And what they say I have experienced myself, that is, blocking of funding/grants, dismissal of manuscripts, barring from promotion, etc, etc. It not only sounds familiar. It is an exact repeat of what has happened quite a few times before… and will continue happen in other fields. Just as I am confident that climate hysteria will pass, I am also confident that cyclical trends of intolerance will continue to hit the academic world. It’s a human thing… and the vanity of the intellect only adds fuel to it. Granted, and in any case, climate science is not the only field that _today_ is tightly governed by this sort of out-of-control zealotry. However, it is rightly the most notorious because some of its members have pushed their way into politics and are causing a hugely disproportional great deal of harm that is still to be concretely justified. Promises, yes, predictions, yes, realities, not a single one. Not one. Consider this. Not one prediction has come to pass. Not-a-single-one. What is “this”. The E. Anglia email breach? Here we have an instance of consensus climatologists figuring out something which was wrong, the adjustment needs to be made to the cool side of things rather than the warm, and you guys cannot get off the narrative. Knowing when to give it a rest looks reasonable to people. Bellyaching about everything, especially when it’s something that goes the way you think it should, is not exactly credible behavior. Seriously, why are we even talking about Jones, Briffa and Mann right now? Why the referendum on the homogenization process? Why were those subjects introduced into this discussion when the topic of this post was climatologists doing what you would otherwise demand they do if you’d caught the mistake first, not them? Don’t you get it what tossing out red herrings indicates? Brandon, this is not funny any more. The ‘this’ refers to the topic of the post. Don’t answer, just think about it, why are you questioning me insisting that scientists should check their work? I must answer because I am not insisting that scientists should check their work. Do you have an argument which is not some form of non sequitur? So, you ARE claiming that scientists do NOT need to check their work? For the writers AND the anonymous few who review their work TO BE HELD be accountable in public for their errors – whether deliberate or accidental when THEIR publications ARE being used to decide the health and lives and well-being of billions worldwide? So, you ARE claiming that scientists do NOT need to check their work? Why would I go say a stupid thing like that? In fact, where exactly is it that I said such a preposterously idiotic thing? These researchers at U of M in Missoula did exactly the proper thing: identified a warm bias in the SNOTEL network and against the alleged conspiracy to make everything warm and toasty as possible, published the results of their work showing that warming trends at higher altitudes in the Western US have probably been overstated. Which is what honest scientists are supposed to do. Don’t you agree? I certainly do. So what’s the major source of confusion here? Well scratch my previous response, I found my error: I must answer because I am not insisting that scientists should check their work. There’s more going on than that! The question is whether the main climate honchos incorporate this into their theory, and whether it tempers the doomsayers. It probably won’t. I speak about peer pressure in academic circles from my own experience. No need to research it. I know where some of the bodies are buried. Did you keep any of the shovels? Careers have been made and careers have been destroyed many, many times since I can remember on absolutely no scientific or academic grounds whatsoever. Well guess what, we’re not going to become robots any time soon. I see you touch on that below. Just as I am confident that climate hysteria will pass, I am also confident that cyclical trends of intolerance will continue to hit the academic world. It’s a human thing… and the vanity of the intellect only adds fuel to it. I don’t share your confidence about climate hysteria. Hysteria does not pass, it will not go away. I am confident the planet is warming and that we’re doing most of it. The physics and math I understand make sense. All else about the academic peer-pressure I get. I believe you, I’ve done my time in and around labs (been a while, too long maybe), I know the egos and the pressures involved and it isn’t pretty. And yet year after year in all sciences, good work gets done. I don’t see climate science any differently, I see very little compelling reason to do so — but I do watch it more closely than others because the stakes, and therefore pressures, are obviously quite high. Promises, yes, predictions, yes, realities, not a single one. Not one. Consider this. Not one prediction has come to pass. Not-a-single-one. Flat out not true in my view. You’re not looking in the right places, or your standard of prediction is so high that the success has not been achieved. I can’t help you there, only you can make those decisions for yourself. Please provide a list of the predictions that have come to pass if you can find any. There was a time when many predictions were made in very specific terms (e.g. there will be food riots in London before the end of the 20th century, the Arctic will be ice-free during the summer, etc, etc, etc). Details are important, please don’t miss any of those. Please provide also a list of the predictions that have not come to pass and explain in detail why they didn’t. Surely, if the science is there (as you “believe”), explanations will be available to you. I never had “any of the shovels”. I know where the bodies are buried because they belong to fallen colleagues. There is no humor whatsoever in your remark. Please provide a list of the predictions that have come to pass if you can find any. 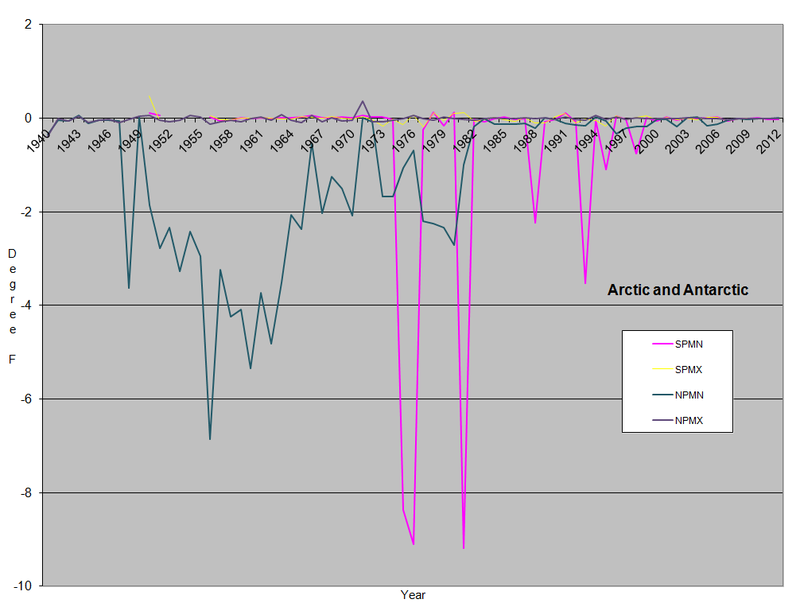 Arrhenius estimated 5-6°C/2xCO2 averaged across all zones of latitude. AR5 puts the ECS estimate at 1.5°C to 4.5°C per CO2 doubling, same range as FAR, so the 1896 estimate has held up rather well. 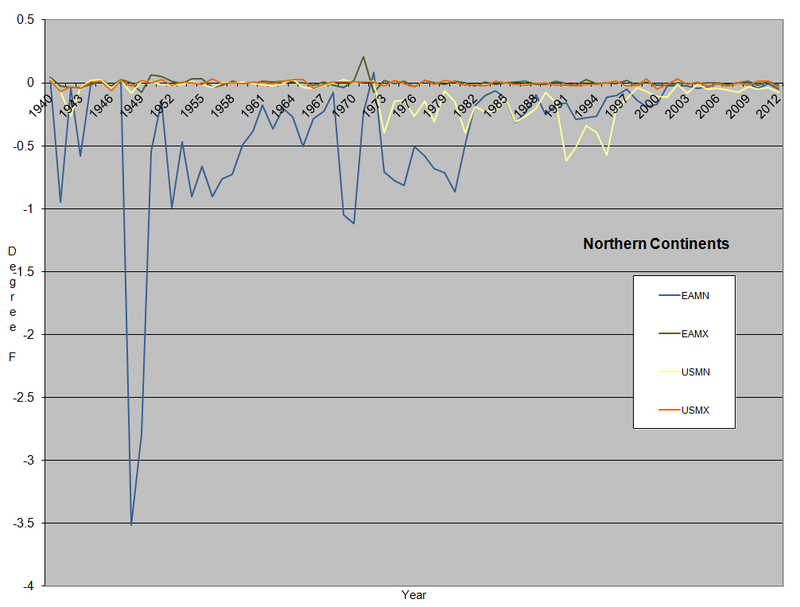 Observed CO2 levels have risen, and per prediction so have temperatures, since 1896. Given that correlation does not necessarily imply causation, and knowing that other variables exist in the system, at this point all I have demonstrated is that Arrhenius’ predictions were not inconsistent with subsequent observation. There is much to discuss in this one topic alone; 100 posts such as this wouldn’t cover it. I’m happy to take it further in stepwise fashion by way of responding to specific questions. Please provide also a list of the predictions that have not come to pass and explain in detail why they didn’t. The Arctic Ocean is not ice free in summer. Hurricane frequency and intensity has not increased appreciably. ENSO, PDO, AMO and other quasi-periodic internal variabilites continue to defy prediction in terms of changeover timing and duration. These predictions and many others like them “fail” because simulating an entire planet is not as easy as AOGCM critics would have us believe. It doesn’t help that folks have widely differing expectations, therefore dissimilar standards of acceptable performance. It was a crass remark, I apologize. A little help here, should I file this under “Logic Fails” or “From the Department of Unintentional Humor”? Perhaps both …. Yeah…I was sort of wondering the same thing. Perhaps the real issue is that the interpretation only goes one way around here: When scientists discover a way in which the temperatures are biased warm and they have to do a cooling correction, this confirms what people here always knew to be the case. On the other hand, when scientists discover a way in which the temperatures are biased cool and they have to do a warming correction, that just shows how the scientists manipulate the data to get the result they want and that such corrections can’t be trusted. Hard as I tried, I could not get folk to see that the paper’s conclusions were not based on models, but observations, and that the point of the study was to compare how models do against reality. Next, it matters when the temperatures are adjusted. Making the late 19th and early 20th century temperatures cool = bad. Making today’s temperatures cool = good. Making the MWP temperatures cool = bad. A common theme is: we don’t know what climatologists are actually saying here, but it must be wrong. This article reads a lot like that. So when will these data sets be officially corrected? If at all? Please show us such a “cooling correction” that has been performed, Joeldshore. But you can’t , can you? not shame on nrcs, we have known this for years and have tried to communicate it to the climate world. mr oyler is the first to publish it in a formal journal and he solicted data and information from us which we freely gave. for further documentation look at the utah snow surveyweb page under historical data and the caveats listed there. Thanks. Checking it now. I suspect NRCS is living through the Dark Ages of the Inquisition, with the current political appointees running the uSDA. Surely it was at least 97% of the previously reported trend that was spurious. Couldn’t they have given it a better name then SNOTEL? I know this is going to sound petty, immature, and representative of an individual with arrested development (all three of which are probably true), but the first thought it brings to my mind is the viscous fluid that drips out of someone’s nose. Yeah, I know the foregoing comment adds absolutely, positively nothing useful to the discussion, but every once in a while everybody should practice being utterly useless for at least brief portions of their lives. Think about it: how much better off we’d all be if certain individuals (yours truly included) endeavored, not to try and better the world, but instead to be useless. And leave well enough alone. No climate change. No useless (oops) studies. No war. No grotesque taxation. No coercion. No idol worship. All erased by brief periods of idle uselessness. >Couldn’t they have given it a better name? Sno-way, man! There’s snotelling what they’ll do next! I believe they are called SNOTELs because there primary function is measuring snow pack in the mountains so that spring runoffs can be accurately forecast. They replaced the old “snow courses” where somebody would periodically ski along a defined track and measure the depth of the accumulated snow at defined points along the course to reach an average depth. Not to be picky but SNOTEL does sound like something that would elicit snickers from the 5th graders learning post normal science. It is the same type of confusion created by the word ‘manual’ which comes from ‘hand’ not ‘male’. The first group of letters looks as if it is telling us something important, but it’s not. Some do, Its called SPORT! I wonder if these authors will get the plum jobs now that they have committed the sin of pointing out confirmed bias in previous reporting ? Senior Vice-President for Peas (Frozen) at the local hyper-market is a pretty plum job [outside the seasonal fruit aisle]. I have come up with a new concept. If there is heat island effect, why can’t there be cold island effect? We had a 6 degree temperature differential last summer 3 blocks apart. On Saturday, in rural Montana, we had a 6 degree temperature differential in the middle of winter. One site is surrounded by black top and cement, the second site is soil and gravel. prjindigo I had the same result at a camera club, everyone brought in their thermometer and low and behold none read the same, when a fellow member ask me which one was correct she did not like my answer, it was they all were. I then tried to explain that when you use a thermometer in the process the fact it is there is always the error range and when you develop film you must adjust the process for the variables that are in the process, temperature is only one of the many. Your testing should allow you to control the variable as long as you work to minimize them. Unfortunately most of the member could not understand that, obliviously they had no idea what Ansel Adams, zone system was all about, basically it testing you equipment and process so you can get consistent, repeatable and predictable results and and understanding of the variables so you can manipulate them to achieve a final result that produces the optimum photographic print for the subject you are photographing. Either climate scientist understand this and they are manipulating the results to get what they want or they don’t and are just to stupid or dishonest to care as long as the results are on the warm side. When my mother makes toffee and other hard candies the first thing she does is boil water with the candy thermometer to determine where boiling is this year on her sealed high precision candy thermometer. You know the ones in the glass tubes that clip to the side of the pot. So back in 1992 I bought her a new one because the old one had drifted way off and I found that the same company was still making them. So she used the new one with the original recipie’s temperature and the sugar burned. So she calibrated the thermometer using boiling water then tried again and the sugar didn’t melt right. Boiling was 210.5°F at 140’ASL. Ok, little error on the thermometer is fine but why was it then still not accurate? So when my mother took her thirty year old thermometer and the new thermometer and put them both in the pan and stood with it slowly raising the temperature, the old one worked at the same temp as the previous year and now she knew the accurate temp on the new one. She still makes the toffee each Christmass and the the thermometer is always wrong and a little off from year to year. When you make half a thousand thermometers, expecially bulb types, you have two choices on calibrating them in the box. You can calibrate them separately one at a time or you can calibrate every fifth one and use those settings on the rest of them. That’s fine. But when you’re gonna use them for science for an on-going project, shouldn’t you also calibrate them against the equipment you’re replacing with them? Hmm? My mom knows that by one burnt pot of sugar. Apparently it isn’t something they teach people when they take your $150,000.00 for a Doctorate degree. Every thermometer in existence is wrong to some extent. Up until the mid 80s they were read by people and were only accurate to 3/4 of a degree F. Yet “science” is claiming it has found a 1°C change in average temperature using equipment that errors over its lifespan by up to 7°C. Received a BS in Chemistry in 1986. In Organic lab, the very first time we met our activity was the calibration of our thermometer, 24 lab stations, 24 students finding the flaws at certain points along the graduated scale. 24 students discovering that each has a unique measuring device. For any physical scientist this is common knowledge. These climate scientists have often behaved as if the rest of us are a bunch of morons, it’s truly insulting. I believe that, statistically, it is “assumed” that the error drift is even both up and down so improved accuracy is supposedly obtained over many thermometers. However, I have never seen where this is shown to be true for these devices, since during or after manufacture, the drift could tend to be in one direction depending on the design or other parameters including external ones. But as long as it is in the “right” direction (warmer) no one is going to check or care. yes and god knows all the mark one eyeballs are reading the temp correctly and the exact right time to catch the high and the low. Usually this blog complains when temperatures are adjusted upwards. It’s good to see, in fairness, that complaints are also made when temperatures are adjusted downwards. Have the temperatures been ajusted downwards yet? Where the rain never falls and the sun never shines. Funny that you see auditing and parsing as “complaints”. i see WUWT as hundreds of professors marking 1 students paper at a time. Damn, you beat me to it. I didn’t think there was anybody so warped, so twisted, so bizarre, so weird, so strange, so vile, so out of it, and so maladjusted that they would actually find a serious scientific acronym, SNOTEL, as funny as I did. I salute you, sir! Best wishes in the New Year. And I was kidding before…sort of. To be honest, I’m shocked no-one else sniggered before us. I’m always amused when people caught up in the details of their project don’t stand back and look at the big picture. SNOTEL is funny. But the best one ever was when Canada’s two right of centre parties, the Conservatives and the Reform, merged, they proudly announced the results of their merger as the Conservative Reform Alliance Party. News anchors were turning themselves in knots trying to report it without breaking into hysterics. Well, I managed to mess it up. They were the Conservative Reform Alliance Party of Canada. So yes, they were the CRAP of Canada. In Victoria, Australia, they renamed their rail service. Metropolitan Rail became Metrail, They didn’t rename Country Rail. I was laughing too hard to type! This still took me minutes. I can’t help but chuckle every time I see it. 1C per decade is 10C per 100 years. Commonsense should have required a recalculation. 0.1C per decade makes a little more sense. But if you truly believe, you will (mis-)remember your youth – perhaps fifteen years earlier [Not mine, but for some] as a degree or two cooler, even in that – short-ish – time; belief, I guess, conquers all. The SNOTEL system also consistently under-measured snowpack. I know someone who maintained the old analog instruments and took part in the change over to digital. He estimated the newer devices undercounted precip. by about 10 percent. The suit boys back at HQ never believed him because they just don’t do fieldwork anymore – and what 30-something with a shiny new PhD. is going to listen to a 60-year-old field tech with 40 years experience? Until readers recognize that all forms of energy (including gravitational potential energy) play a role in entropy and thus in determining the state of thermodynamic equilibrium (which the Second Law tells us will evolve) then you are barking up the wrong tree with radiative heat transfer theory as your only concept in your beliefs about temperatures on all planets and satellite moons. So they have identified a bias that indicates that the previously identified trend was too large. What are the chances that this correction will get applied to the temperature trends reported by the GISS and other groups? glen, would you, too, guess at <0? Auto – a bit cynically, perhaps, but in my 63rd year I'm a bit used to that now . . . .
Nearly every day I read about some warming bias, cherry picking, “homogenizing”, etc. 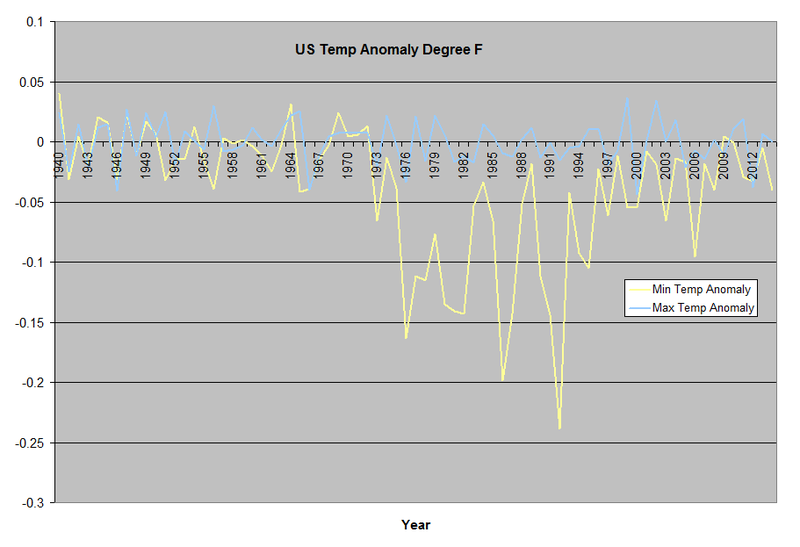 or outright fraud in the temperature data sets. There are so many “scientists” working to make sure the Jim Hansen senario stays alive that I believe their combined efforts are massive and highly effective. I am wondering how much cooling we might see in the data sets if we could get an honest reading of the temperatures from these so-called experts. It has been said that it is very, very hard to get a man to see the truth if his paycheck depends on not seeing it. I think we have a lot of that going on in climate “science”. Until all readers recognize that all forms of energy (including gravitational potential energy) play a role in entropy and thus in determining the state of thermodynamic equilibrium (which the Second Law tells us will evolve) then you are barking up the wrong tree with radiative heat transfer theory as your only concept in your beliefs about temperatures on all planets and satellite moons. This seems like yet another reason to ignore the surface temperature measurements and focus on the satellite data. … satellite temperature data shows that 2014 was not even close to be the warmest on record. In fact, 2014 was only the 6th warmest year on record, according to the Remote Sensing System (RSS) satellite data set that measures the lowest few miles of the Earth’s atmosphere. The more you find the lies the deeper they will hide the lies. Next up as I posted now for years. The mercury in the thermometers will have to be tested monthly to make sure they are not doctoring those up also. Creepy. It is not global warming. The opposite. Heck, even NCDC adusts for equipment change (CRS to MMTS) in its USHCN dataset. I know this is maybe a little off topic but I am going to throw it in the mix. After SNOTEL and CRAP of Canada, what the heck. It seems somebody went a bit teenager a while back about PNAS too so nothing new. But anyway, while furthering my education by television last evening, I watched a program about the gardens at Buckingham Palace. The narrator said spring comes earlier in the Queen’s garden than the rest of (I think they said) England. Because, …………….wait for it, because……………, it is surrounded by the city of London!!! I gasped. I think they told the truth and there wasn’t a hint of global you-know-what. Perhaps that is why the program was on late night. Anyway, it was a good show. snotel – short for snow telemetry. not snot tel. and we are well aware of changes in snow course readings due to vegetation changes and other mechanisms other than climate change and have published such. things like changing from steel pillows to hypalon, up to 25% decrease in snow accumulation. there are many deficiencies in measuring sensors and changes over time, we have as best we can,documented such and the information is ready and relevant to any researcher who will take the time to due diligence on a dataset prior to making conclusions. we also try to contact anyone we see publishing conclusions that have not made appropriate contact. some listen and some dont. i am very happy that mr oyler not only contacted, obtained relevant meta data and advice and counsel but [listened] and got it published… we have submitted a similar data bias paper on changes in snowpack and have been declined by a half dozen journals as not relevant. / lack of / responses, foreseeable. Sad. You’re on it anyway. Great ! Thx for standing, thanks for sharing. Could you post a summary of your supporting findings with Anthony for possible publication here? Critical. I’m sure. People always consider what they are doing important. Ummmm …. Yes, critical! Accurate snow pack numbers are critical! A. Cities along a waterway have rights to a portion of the water. B. Hydroelectric facilities have rights to a portion of the water. C. Native tribes and Commercial/Recreational fishermen have negotiated requirements that x quantities of water must be left in the waterway to flush juvenile salmon downstream. D. Long time irrigation rights holders get first crack at what’s left to irrigate their crops. And then assume you’re a farmer and your irrigation rights are secondary level …. and you’re trying to decide what crops to plant. It’s so easy to be condescending …. but I grew up in the Yakima Valley and I can tell you that snow pack numbers are critical. Depends on your location in this case. Essentially all farming in the Western US that is South of the 45th parallel and West of the Rockie Mountains depends on irrigation and a vast system of reservoirs and canals. The SNOTEL data is critical to the farmers and water managers that maintain this system. Do your high elevation Western US temperature readings – stated as accurate since 2000 on – match the “plateau the satellite readings indicate for global average temperature anomalies the past 18 years? I wonder what the variability would be over 100 Stevenson screens spaced 100 feet apart on a 10 x 10 grid. And Willis E. followed with one of his own about it. How would you rate accuracy for day to day min and max tracking, say today’s min temp to tomorrow’s min temp, or max 2 max? For each station, 1 by 1. One might take note of the ‘SNO’ in SNOTEL. The point being that this system is founded with measuring snow that will melt and be available for irrigation utmost in mind. [The NRCS is the modern Soil Conservation Service and within the Department of Agriculture.] That alone is a tough thing because of winds and terrain. In the past (maybe now fixed), some sensors could be buried in snow. Temperature from these sites can be expected to be problematic. Insofar as the purpose is to measure ‘water equivalent’ of the snow pack there isn’t much sense in having one on a site not expected to have snow. Snow blows off some spots and drops into others. Winds can come down off the high ridges in the morning and reverse in the afternoon. This seems to be a system NOT designed for the type of temperature measurements needed to monitor climate trends. I sometimes wonder if events 1000 years ago were one of the factors that made California tribes far more primitive than tribes in other parts of North America. Perhaps the Negative PDO beat them into submission and they never recovered. Are we at the outset of another one of these? That is also the time period that the Anasazi pueblo dwellers of the desert southwest were forced to leave their cliff dwellings…. and disappeared into the mists of history. so other networks show you that SNOTEL is biased. you read that wrongly… as usual Mosh. Go back to the authors’ abstract… and read it… and think. Looking at the bigger picture… if a minor change in type of thermometer or time of day or location of sensor can introduce an error the same order of magnitude as the climate signal, then common sense says the change in climate is not enough to be worrisome. Urban Heat Islands (UHI) have caused rather dramatic warming in urban areas where most people live. Yet the people and the urban wildlife and urban environment continue to thrive. Changes with CO2 warming will be less and slower than the UHI warming that has already happened. According to their abstract: With artifacts removed, the network’s 1991–2012 minimum temperature trend decreases from +1.16 °C decade−1 to +0.106 °C decade−1 and is statistically indistinguishable from lower elevation trends. Moreover, longer-term widely used gridded climate products propagate the spurious temperature trend, thereby amplifying 1981–2012 western US elevation-dependent warming by +217 to +562%. This is just one more example of why satellite temperature data should be the primary source of global temperature records (post 1979) rather than ground temp station data. There is so much bias built into terrestrial temperature databases (homogenization, inconsistent international temp record protocols, arbitrary in-filling, regional weighting, equipment change calibrations, discontinued temp stations, temp station relocations, UHI adjustments, interruptions of regional temp data, etc.) that the terrestrial data has become an incoherent mess. Why is CAGW still taken seriously?? Emotional, financial, and political investment. From the NRCS website, job vacancies at their Portland, OR HQ. If I were HMFWBIC (an old military term. figure it out), I would draft AW, WE, and BT onto some of those positions for a 24 month tour of duty to get them going on the straight narrow. Of course it would require some living in Portland and helicoptering up to & into the Rockies ato service and check on those SNOTEL sites in the summer. Rough duty. Do what you love, love what you do. The only down side would be living in Portland with the good beer and all. WTF is that about, Int? Enough of the paranoia. Never put down to dishonesty what can be ascribed to stupidity, incompetence or ar5e licking. If the boss says there is global warming you say how much do you want sir if you want to continue to work in the field? I know because as an engineer I worked with some who would not give the right answer. the key word is of course observations which models are definitely not but I would add a second part , we need to accept what these observations tells us without regarding ‘adjustments’ to be an automatic need when they tell us what we do not wish to hear. This news is more consistent with our best measurement of the te4mperatuerr of the United States. 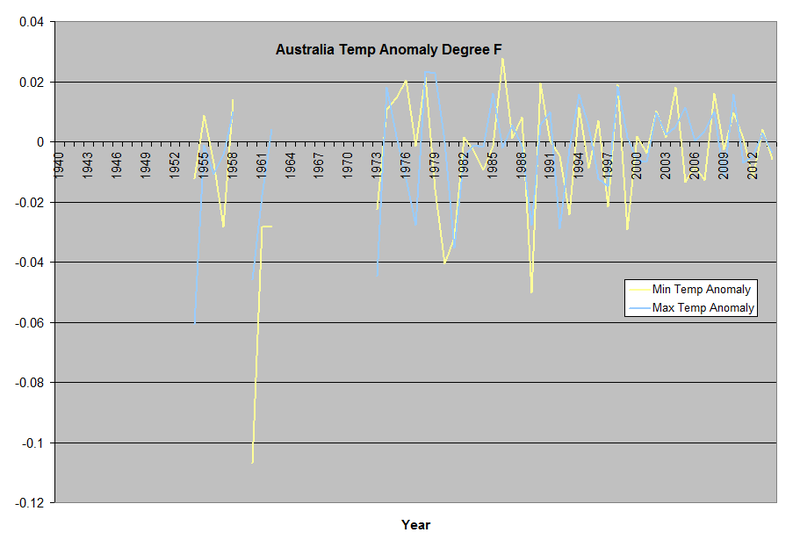 The past ten years data from this gold standard temperature measurement shows NO temperature increase at all. None, zip, zilch, nada. This also confirms the “pause”, at least in the USA. Much of touted warming is from adjustments. 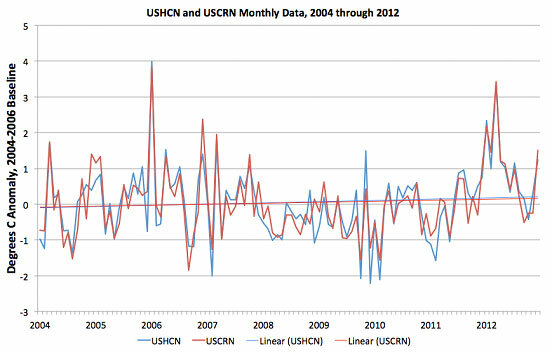 You mean USHCN is consistent with our best measurements in US? Surely you must be aware that USHCN and related sites have been discredited? Your link then only shows that adjustments are warranted. Like adjustmets in the SNOTEL-network. Along with inaccurate temp readings, I have doubts that their snow depth readings have much accuracy either. The depth of any given snowfall is dependent on the water content and resulting weight. Some snowy areas can have consistent kinds of snow, but some regions can vary quite a lot. Living in the Rocky Mtn area the snow was usually light, dry and fluffy, but some times heavy and wet. Living along Great Lakes snow belts it’s often heavy and wet, but sometime light and dry. After a short time compacting snow has to be challenging to measure accurately. Perhaps, like with temp measurements, there’s a certain degree of ‘adjusting’, guessing or making stuff up? Perhaps this shows than adjustments and homogenization is necessary? Than “raw unadjusted” won’t cut it? “As discussed in the main text, these results are consistent with the differences in seasonal trends between SNOTEL and USHCN”. They find something is wrong because they compare the trends to USCHN! The network used by the temperature indexes. Where they don’t find the breakpoints etc. This can be read as a validation of USHCN. Real-time weather data and its archived “climate” dataset must be used with an appreciation of its original purpose and inherent limitations. By knowing a stations history/metadata (e.g., location, equipment, maintenance schedule, sensor changes, etc. ), operators and researchers can then expect the highest degree of data quality and use. The SNOTEL system was initially installed in the late 1970’s primarily as a water supply forecasting hydro-climatic data collection network. To that end, sites were located specifically to forecast water supply in the western United States and in most cases, replaced existing manual snow courses that historically had good correlations between snow water-equivalent (SWE) and streamflow. There were limitations in the amount and type of data that the early system could process and transmit. Thus early on, only the SWE, precipitation and current air temperature data were initially collected. The observation times of these early data occurred without any uniformity. This situation was adequate for SWE and precipitation measurements but gave a much less than desired result for temperature. The data poll for individual sites typically started at midnight, 6:00 am, noon, 6:00 pm and could last for up to five or more hours. Thus air temperature data would be reported at the time an individual station was contacted and might vary from as early as shortly after midnight to as late as 5:00 am. Polls were conducted four times daily but in that early period, a station might report between zero and four times per day and the time stamp on those data would be dependent on when the station reported. Temperature data were to be used in a relational context to calculate or predict snow melt rates, predict the onset of melt and generally be used in a water supply context. As the data collection, processing and transmitting electronic components were improved, additional sensors were added to the system. In the mid 1980’s, with the advent of better electronics, daily minimum, maximum and average temperature data were added as standard data collection to SNOTEL. Unfortunately, temperature sensors were not uniformly installed across the entire network and in fact, a rather poor job was done particularly in the mounting of these sensors. The first temperature sensors were generally Climatronics or Climet thermistors and were in small ~3X3 inch aluminum box shaped shields or in aspirated housings. Most of these sensors were mounted on or very close to the brown SNOTEL shelters. Others were mounted to the antenna tower. Various mounting configurations were used, mostly dictated by the ease of installation and not to any technical standards. In some cases, they were mounted horizontally across the face of the shelter about six to 12 inches below the shelter roof and about 24 inches from the side and in all cardinal directions. In other cases, an “S” shaped aluminum tube was used to mount the sensor vertically to the side of the shelter which put the thermistor about six inches from the shelter side and up to 12 inches above the roof line. In yet another configuration, the sensor was mounted vertically above the shelter at a distance of between three and six feet. Clearly any mounting configuration that put the sensor near the brown radiating shelter would have a net warming bias on the early dataset. Some of these early sensors were mounted to remote antenna towers then moved to a shelter mount to be moved again to the antenna tower and finally moved to the meteorological tower. Much of the early data from these sites are compromised by inappropriate mounting, sensor moves and various changes in sensors and aspirators. Another more isolated and easily identifiable problem with this mounting scheme is that occasionally, a shelter and its temperature sensor was completely buried in snow or the roof snow load encased the sensor in which case, the air temperature sensor became a snow temperature sensor. Later, some sensors were moved to the antenna towers, which in most cases is a better location. However, some towers were directly adjacent or attached to the shelter and the temperature data at these sites could be compromised to some degree, other towers, remote from the shelter should have reasonably consistent data. In Photo 1, the SNOTEL site at Beaver Divide, Utah is shown with a standard YSI thermistor, a three gill aluminum aspirator and the “S” mount attached to the side of the shelter and extending above the roof line. This configuration is perhaps the worst of all mounting scenarios. Photo 2 shows the Rock Creek SNOTEL site and the impact on snow the brown shelter can have via long wave radiation. Notice the snowpack has melted to a distance of about 2 feet from the edge of the shelter and that the temperature sensor mounted horizontally across the top of the shelter in a northeastern direction is in a direct line above that obvious impact. from these sites would be the most consistent in relation to current standard location and mounting practices. Temperature sensors gradually migrated to YSI thermistors with a range of aspirators including the most commonly used, a silver three vent aluminum model. There were tower mounted sensors and aspirators that were white, wind directed models and a variety of other configurations. In the mid 1990’s, snow depth was added to many sites as a standard sensor and this began the installation of standardized meteorological data collection towers. At that time, there was still a mix of temperature sensors mounted on shelters and on antenna towers with a wide variety of aspirators. Since snow accumulation is variable across the West, tower height is also variable with most meteorological towers being in the 10, 20 and 30 foot ranges, depending on snow depth. Sensor mountings are therefore also variable in height being at about seven, 17 and 27 feet respectively. The majority of all sensors are at the 17 foot height. That stated, during a significant portion of the year, the ground surface level is constantly changing due to the accumulation and ablation of the snowpack and the respective height of any individual sensor may range from 17 feet to as low as five feet or less. In photo 4, (Cascade Mountain, Utah) the current standard temperature mounting configuration is shown with the sensor at 17 feet, mounted three to six feet from the tower and in a white, six gill aspirator. In the mid 1990’s as the installation of meteorological towers progressed, another sensor change was made from the standard YSI sensor to the extended range YSI sensor in order to capture temperature readings to minus 40 degrees F. The coldest sites were the first to get the extended range sensor. Personnel in the Idaho region had the foresight to run both the standard YSI and the extended range YSI side by side for several years with identical mounting and aspirator configurations and noticed a plus one degree C difference in a very large portion of the observed temperature range of the extended sensor compared to the standard sensor. Chart 1 displays a comparison of side by side mounted standard and extended range YSI temperature sensors, the results which show a one to two degree C difference between the two sensors, with the current extended range sensor warmer than the standard sensor. This difference is most noted at the lower end of the temperature scale whereas at the upper end, the difference becomes much less. This is consistent at all of the Idaho sites tested. Physical site changes will continue to pose some problems in overall data consistency. Vegetation grows, and at times, dies yielding an ever changing solar view and site characteristics. At some sites, this could be dramatic and at others, not likely to be much of a source of an inhomogeneous dataset. The removal of one or several trees at a site can impact the canopy, solar window and evapotranspiration characteristics which could change the temperature regime over some or all of a daytime pattern including nighttime pattern. The same could be true of growing vegetation altering the periods of full sun or shade at any given site. In photo 5, (Camp Jackson, Utah) one can clearly see the proximity of the vegetation to the tower and the temperature sensor as opposed to the vegetation in photo 4. Vegetation height and proximity is constantly changing at some sites, while at others it tends to be relatively stable. At this site, the dominant species is Aspen (Populous Tremuloides) and has the added feature of being deciduous which changes the overall solar input as leaves are generated in the spring and subsequently lost in the fall. At other sites such as Big Flat, Utah, (photo 6) which is in a mature Spruce and Fir (Picea and Abies) forest, the vegetation is and has been very stable. However, should the current beetle and bud worm infestation spread with subsequent high spruce mortality, currently experienced in southern Utah, the vegetation at this site could change dramatically and hence, the solar window. Another source of potential inconsistency in the dataset is that of data editing and quality control. For the most part and with the exception of Idaho, the SNOTEL temperature dataset has undergone little in the way of systematic data quality control and verification. The data editing that is done is primarily the removal of howlers and screamers and focused on the daily maximum, minimum and average. Some areas such as Idaho have done more and have concentrated on a serially complete dataset complete with estimated data points but the techniques of data estimation and editing have been far from standardized system wide at this point. The NRCS is attempting to use spatial climate station comparison methodology to resolve suspected data and fill-in missing data by assigning quality control flags that are quantified by confidence probabilities. An un-quantified source of data error is in the electronics of the system and could be either random, systematic or a combination of both. There have been a series of joint transceiver/receiver/data processors in combination with the series of different temperature sensors. These include the Secode, MCC 550A, MCC 550B and the current version, the MCC 545 coupled to a Cambell CR10X data logger. Each of these systems measure voltages from each sensor which are then equationally converted to meaningful engineering units. Errors may occur due to: error in the thermistor, resistive errors such as line loss, ground potentials, exitation voltages, and errors associated with the data logger reading the voltages. These errors may occur from something as mundane as the type of cable used or in the connections from the cable to an interface. Drift in the voltage reading device could be the source of some un-quantified error. 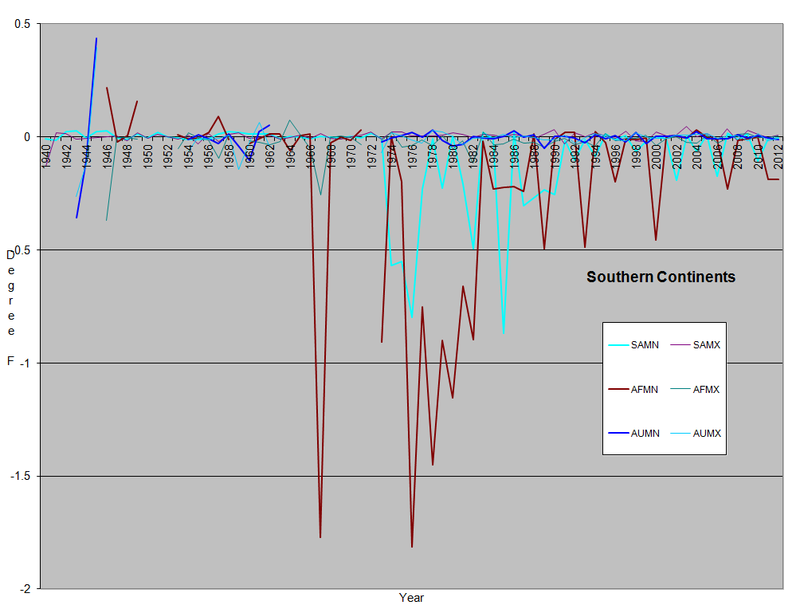 In summary, the historic temperature data from the SNOTEL network have some significant systematic and random bias. This bias includes poor mounting techniques, sensor changes, location changes, aspirator changes, vegetation changes and electronic errors. Vegetation changes can be in the form of 20 to 30 years of growth or instantaneous change due to fires, disease, or insects. Documentation of these changes has been inconsistent system wide and currently resides mostly on paper records difficult to access and digitize. 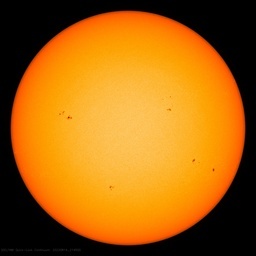 Much of the very early record, from mid 1980’s to the early 1990’s will be difficult to salvage and much of those data are compromised by poor sensor mounting techniques and are suspected to record much warmer temperatures than actually occurred. General use of these early records as comparisons to current conditions is discouraged. Some records, particularly those sensors that were mounted to remote towers early on will have reasonable quality, subject only to observation time, aspirator and sensor changes and possibly some vegetation change. Useful metadata on dates of sensor, aspirator and location changes would facilitate the potential construction of a reasonable, corrected dataset for these specific sensors. Currently, NRCS is moving to standardized temperature sensor mountings that are on a meteorological tower in a specified data collection area at a height of 7, 17 or 27 feet and a distance of four to six feet horizontally from the tower. The following was identified by Kevin Berghoff of the National Weather Service, NOAA and illustrates a serious potential systematic error in the SNOTEL temperature data set. This graph shows the minimum daily temperatures from the Thunder Basin SNOTEL site in Washington for the years 1987 through 2003. 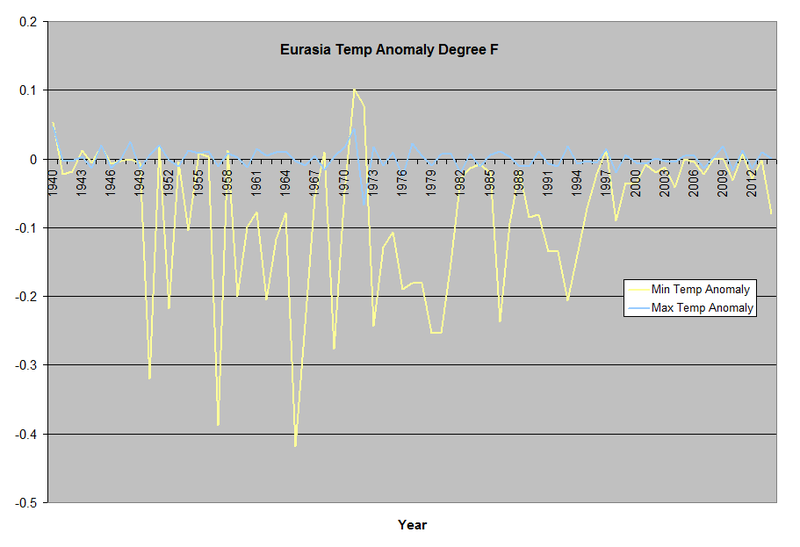 The issue is a flat line of temperature data at 32 degrees starting in late November and continuing into April. The “minimum minimums” look good with a large range of data from -27 degrees up to near freezing conditions, however, the “maximum minimums” hit a ceiling at 32 degrees. This chart shows the maximum data for the same site and time period. Notice that there is no ceiling in these data, both the “maximum maximums” and the “minimum maximums” show a very jagged edge on top and bottom with a large amplitude and defined sinusoidal pattern through the year. Obviously the sensor itself is sensing exactly what it sees – in other words, the sensor is operating correctly and the ceiling in the minimum temperature trace must be an artifact of the environment of the sensor. This sensor is mounted at about 10 feet, on the shelter to the lee side of prevailing winds and just below the top of the shelter itself. When there is significant snow accumulation, this sensor is about 12 inches from an open ice box. Snow on top of this shelter could be several feet to potentially 4+ feet deep which means that the air temperature is actually measuring temperature near the snow surface. In the daytime, solar radiation from the shelter would allow increased maximum temperatures but at night, absent solar heating and given some protection from warm wind impacts, this sensor would not register values much above the snow surface values. The minimum minimums are free to fall, but the maximum minimums are constrained to near 32 degrees. This sensor was moved to a location on the antenna tower at a height of 19 feet. This means that it is about 7 feet higher than the shelter roof at this point and given a snow depth on top of the roof of say, 5 feet, may still be compromised to some degree. An analysis of the data post 2003 by Melissa Webb of the Oregon NRCS Snow Survey Office shows that the current mounting configuration is much better than the old. 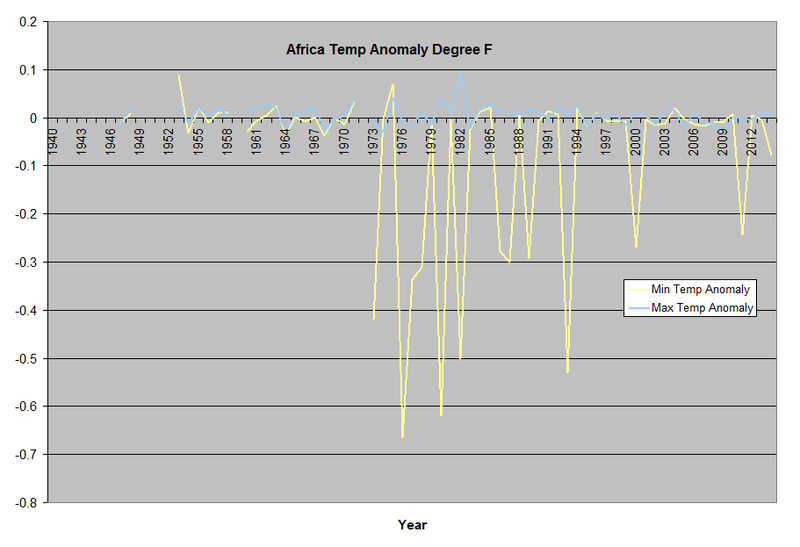 This chart clearly shows that the 32 degree ceiling of the previous charts no longer exists. Given the current sensor location this site may still have some ceiling, the question becomes what that ceiling may be and what time duration it may exist. This sensor mounting technique was very common throughout the SNOTEL system for many years. This specific problem of a minimum temperature “ceiling” has just been identified. There is a significant potential for this systematic bias to be misinterpreted. In the observed data, there can be this minimum temperature ceiling and when removed, as it has been by moving these sensors to a meterological tower remote from the shelter, there will be a net increase in minimum temperatures system-wide. Much grateful appreciation owed to Randy Julander for this informative contribution. very heartening to see an actual real climate scientist bringing real hard observational data to the table. i get the impression most spend the majority of their time in an office. thank you for taking the time to post the information. i hope you continue to enjoy a great job in a beautiful area. I’ve been swimming off the coast of Brighton year round. I use magic seaweed for weather, tide, wind, swell, etc. I’ve been suspicious of their water temperature. It’s way above what it should be , historically. I’ve taken to wearing a cheap thermometer tied to my swimming trunks. Reckoned it might be off a few degrees but, would give an indication. It seems magic seaweed may be off 4-6℃. It’s much colder than they say. I think they base their predictions on models of the harbour and channel bouys. this is the document that is the basis of the paper. sorry the photos and figures did not post. the snotel system and snow course system were designed to predict current year water supply and do a great job at that. its all point data relational to streamflow. if it does not correlate, we get rid of the site. point data are not space data – so all data critics that say… i dont believe the depth data either. really? go 10 feet in any direction and the point data are different. in all parameters. the purpose of this system is to be relational to streamflow. if you use it for any other purpose… its reseaarcher beware. people have to be responsible to know what data are useful for what purpose and what limitations every data set has. its freshman level data analysis. we have been open, honest and forthcoming with the limitations of these data – not our fault if people misuse the data. Then too, should we leave the earth and go to the satellites, the two party evil money cult in Washington DC owns them, controls them and the read outs from them, heck that would be an easy fudge for them, just preload the instruments sent up, who could know. It is not about the climate, it is about wealth redistribution. Nothing unusual, unfortunately. Even when professional politicians are not involved, there’s plenty of “scientists” with agendas. Take a look at what happened to Halton Arp (astronomer). The “big bang” and “red shift” cosmologists are fighting tooth and nail to protect their dark matter, dark energy, dark flow, various new particles, etc., from the plasma physicists’ theory. As Rooter points out, SNOTEL isn’t used in calculating U.S. temperatures or global temperatures by NOAA, NASA, or Hadley. Those stations are not included in GHCN-Monthly or USHCN, though they are included in GHCN-Daily. As far as I know, Berkeley Earth is the only group that uses SNOTEL stations in their analysis. Looking up SNOTEL stations on the Berkeley website is interesting; all the ones I’ve found so far have pretty massive downward adjustments in recent years from the homogenization algorithm. for those still interested – we have finally been able to restore the link to our bias in snotel and snow course data page. will have all the photos, graphs, etc. will make a lot more sense… and show that we have been diligent in trying to make bias in our data sets known to all… rj.